I have a confession to make; despite riding for a while now I’ve never been to Bike Park Wales. God it feels good to finally say that out loud. 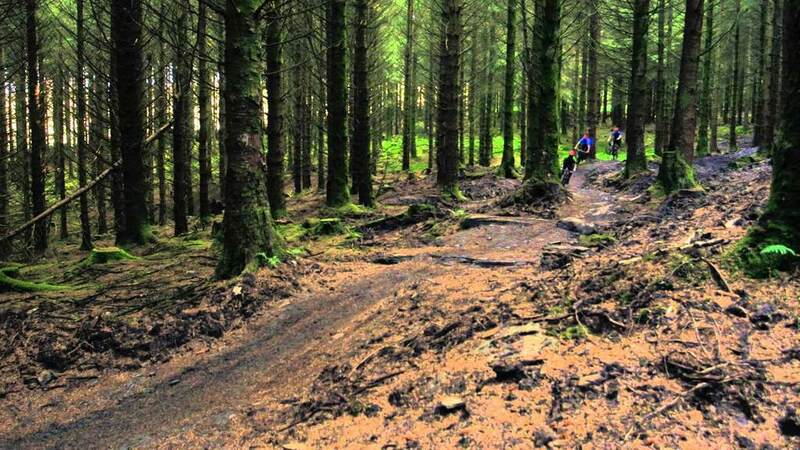 Bike Park Wales is one of the biggest bike-parks in UK with an incredible amount of trails and an uplift in the heart of Welsh lands. It has been around for few years and it has been the most successful mountain biking venue in the country. I understand that spending the day in the back of a sweaty van in The Valleys has become somewhat a rite of passage for mountain bikers. Last month Mr Betty decided it was time I was initiated into the Order, and surprised me with Bike Park Wales tickets. He’s always finding new things for me to do or ways for me to hurt myself. 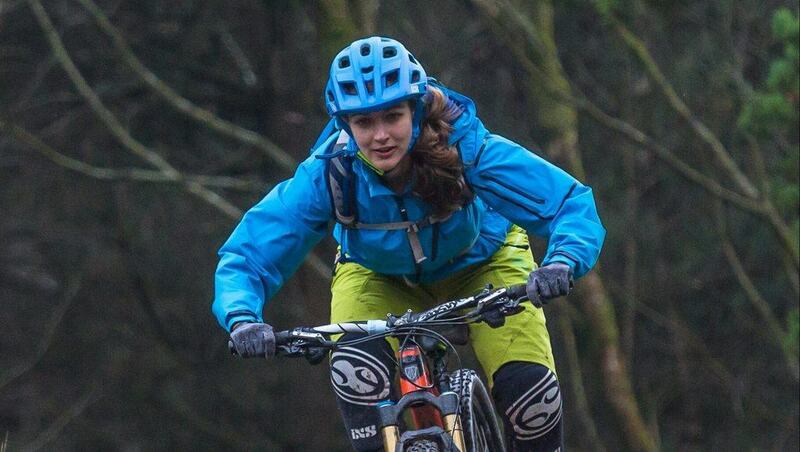 As excited as I am to make a fool of myself, most likely before even getting to the top of the trails, I needed to find out as much as I could about BPW, not only is Anna a director at BPW but she regularly rides the trails there so I caught up with her to find out more. Cranky Betty: So what is your role at BPW and what does it involve on a day to day level? Anna Astley: I am one of the founding directors, involved at the start doing he financials for our grants and loans, I also project managed the build of the centre! Now I am finance director and I also oversee the Uplift as a Transport Manager. My role is slightly changing as I am off on Maternity leave in September so lots of the operational responsibilities are being passed over to others. CB: Where did the idea for BPW come from and how has that initial vision changed over time? AA: Martin and Rowan independently came up with the idea of creating a bike park and had a conversation about 8 years ago. The idea initially was for a small centre with a handful of downhill trails, and it grew into a proper centre and a great number of trails. We couldn’t have hoped for more, visitor numbers have kept increasing since we opened, our buses were full and we kept putting more on and still we are booked out for months. We currently run 8 buses on a weekend and over the summer we are running 5 buses mid-week – what a change from the 3 buses on a weekend and 1-2 during the week that we started with! CB: Do you ride regularly? What bike are you currently riding? AA: I did ride regularly, 2-3 times a week, but I am now 7.5 months pregnant so my rides are reduced to one per week on fire roads! My bike is a Trek Remedy 9.9 and is amazing, I love it, it fills me with so much confidence! Being pregnant I am currently borrowing my husband’s hardtail as the geometry is better for bring more upright pedaling; easier with a bump. CB: What’s your favourite trail at BPW and why? AA: My favourite trail at BPW, that is a tough one, I love Terry’s Belly for its length, Rim Dinger and Rock n’ Roll because they are rough and rocky… I also haven’t ridden hot stepper yet, but I think that I’d will love it, it will be one of the first trails I will ride when I get back on a bike! CB: What developments can we expect to see at BPW in the next few months and years? CB: Do you have a method for recoding visitors by gender? If so, do you know how many female visitors you’ve had in the last year and how is that reflected as a percentage of total visitors? AA: We only know how many individual people have been as they sign up to an Acceptance of Risk but we don’t know than how often they ride as that form only needs to be done once. We believe it is about 10% female riders but I think that is growing, the last few weeks I have had to queue for the ladies, that never used to happen, obviously the most important marker! CB: Does BPW have a plan for increasing female engagement? What events have been popular with women so far? AA: We have held a women’s weekend, which was fab, and really well attended. It was amazing to see so many women all in one place and having the chance to try on and purchase women specific kit. We are also running mid-week half day uplifts every few months, these have been really popular with women as they can ride when their children are at school. We plan to continue these and will run another women’s weekend next year, our next half day uplift is on Wednesday 21st September. We offer women’s specific coaching courses too, which are a bit more relaxed, and perhaps lack the pressure of a more male environment. These are a great way to meet other women who ride, and are great fun to learn together. Hopefully there will be one more next year! Next women-only uplift coming on 21st of September. 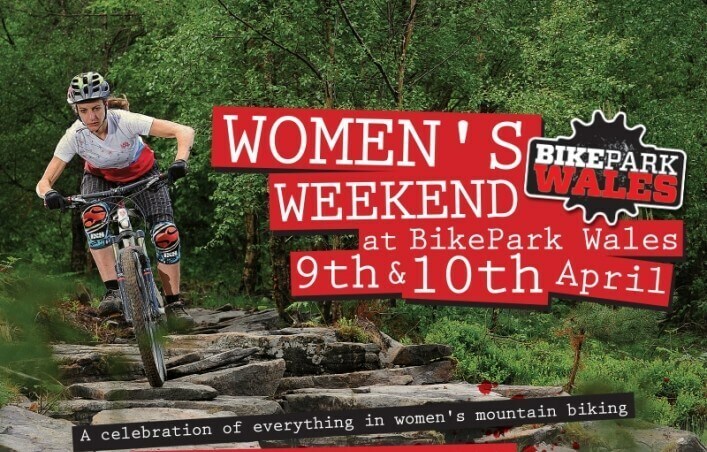 CB: What would you say to women who are relatively new to mountain biking and a little intimidated about visiting BPW for the first time? AA: Let’s be honest, there are a lot of guys who ride here, as there are at most trail centres, I don’t think we are any different. What I found when I started is that the guys are on the whole are kind and patient and accepting of new riders, men or women. They give you space on the trail and wait or politely ask to pass you. The trails we have are perfect for relatively new riders, they inspire confidence and offer you lots of options so you can progress at your own pace. It allows you to ride safely with faster riders as they can take a harder trail, you can take an easier one both ending at the same place. Our trails, graded blue to black, are a bit harder than a trail centre grading, but if you comfortably ride blues and reds elsewhere there is lots to explore and enjoy here. We also have amazing coaching so if it seems a bit daunting, come on our park essentials coaching course, which will give you the best foundation to progress your riding. I will be heading to BPW at the end of august to try out the uplift facilities and, should I make it back in one piece, look out for my report on my first time.